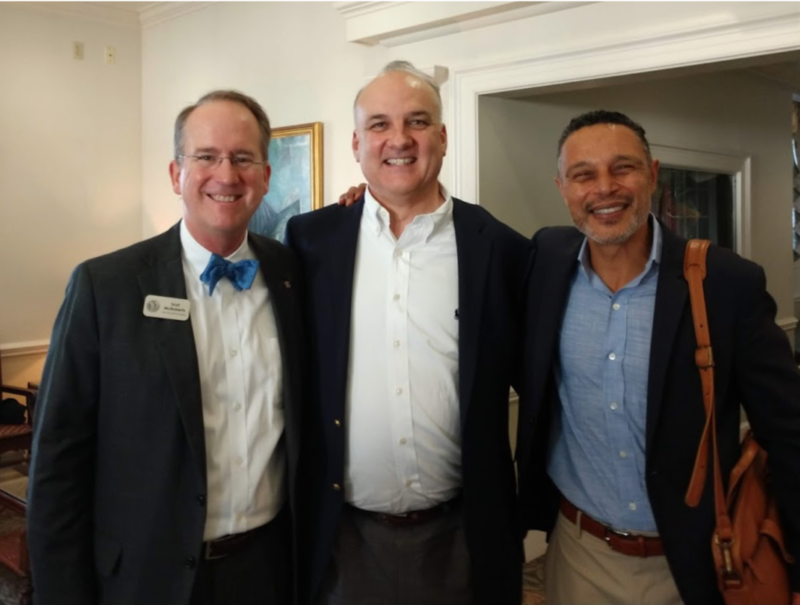 Jeff Thomas Expands Board Participation - ParadeRest and Virginia Council of CEOs | SHINE Management Inc.
Jeff Thomas, CEO of SHINE Management Inc., was elected to the Board of Directors for the Virginia Council of CEOs (VACEOs). VACEOs creates opportunities for CEOs to share, learn, and grow from and with each other. As a Member of the 2019 Board, Mr. Thomas will help support the 220+ members of VACEOs, the new Charlottesville chapter, and the continued growth of the CEO community. Mr. Thomas has also been named to ParadeRest Virginia’s Board. ParadeRest serves the military population of Central Virginia including active duty and retired military personnel and their families with the objective to implement integrated outreach and support programs prior to their deployment, while they are away, and when they return home. As a member of the Board, Mr. Thomas will continue his work with supporting the military members and their families within this organization and strive to expand their community reach and base across all of Central Virginia. “I am deeply honored to have been asked to serve on the Boards of these organizations; to give back to my peers in the business community and serve, in some small way, Virginia’s veterans,” said Mr. Thomas. Mr. Thomas is an active member of the Charlottesville Virginia business community; he also serves on the Board of Advisors for First Citizens Bank as well as on the Boards of Directors for the Virginia Institute of Autism and the Charlottesville Regional Chamber of Commerce.